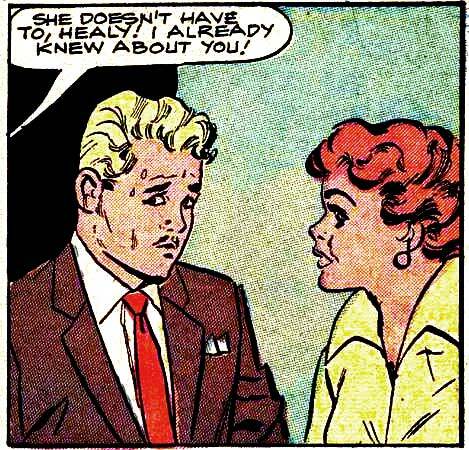 Inks by Vince Colletta from BRIDES IN LOVE #10, 1958. So, what did Healy do? In the original story, Healy was a gossip—spreading lies about the man that she loved.